Avoid having in your house Christmas decorations that include foods like cranberry and popcorn. They can be very toxic for your dog if it falls off the tree and get eaten by your dog. If possible, avoid real Christmas trees as they can be dangerous for your dog if he eats the pine needless or drink the water of the tree. Your dog can ingest glass by eating season ornaments like glass bulbs and tinsel. Eating glass ornaments can cause major problems for your puppy. Beware of candles as dogs can create fires by knocking them over. Keep this simple considerations in mind, and have a nice and happy holiday season! Mark Vette, a dog trainer in a city shelter has trained 3 rescue dogs how to drive a car, New Zealand TV3 reported. With the support of The Society for the Prevention of Cruelty to Animals, Vette decided to demonstrate how intelligent a rescue dog can be. After months of indoor training the 3 dogs have learned how to change gear, brake and steer with very little help from the trainers. To encourage the dogs to touch and move the parts of the car necessary to drive, they were given doggy treats. After they had mastered the basic movements needed to drive, trainers put them in mock cars where they training continued.Vette's goal was to train them on basic blocks of commands that will later be chained together into a sequence. On the final stage of their training dogs were learned how to change speeds. A modified cars was then created by engineers and a television show has been set up for Dec 10th when the dogs will be demonstrating live their skills at driving a car. Many cats of all ages will be available for adoption this Sunday Dec 15th, 2012 in Staten Island NYC. The event is organized by Petsmart and The Mayor's Alliance for NYC Pets . Need a ride with your pet? 1) Cats are very loving and affectionate with you. 2) According to some studies having a cat can reduce blood pressure and heart disease. 3) Cats are low maintenance pets. 4) Cats can be left home alone longer periods. They are very independent. Reason number 6 (bonus):You will be saving a life! Councilman of New York Peter Vallone has launched a letter writing campaign to get convicted animal abuser Milan Rysa deported. Milan Rysa who already spent time in jail for throwing his 50 pound dog, a Chinese Shar-Pei, out of the window last year, faces deportation to Czech Republic. The dog was killed in the fall. "He killed an defenseless, innocent dog and anyone who does that does not deserve to live in the U.S" said the councilman. Neighbors of Rysa's Astoria apartment were horrified to see the dog fall to his death in September 2011. Witness said Rysa looked outside the window after trowing the dog, then got back, closed the window and locked himself inside the apartment. When cops were able to questioned him about the incident, he said he was sleeping while it all happened. He ended up serving 2/3 of his 1 year sentence to a second degree reckless endangerment crime. Currently he awaits deportation hearing scheduled for 2013. 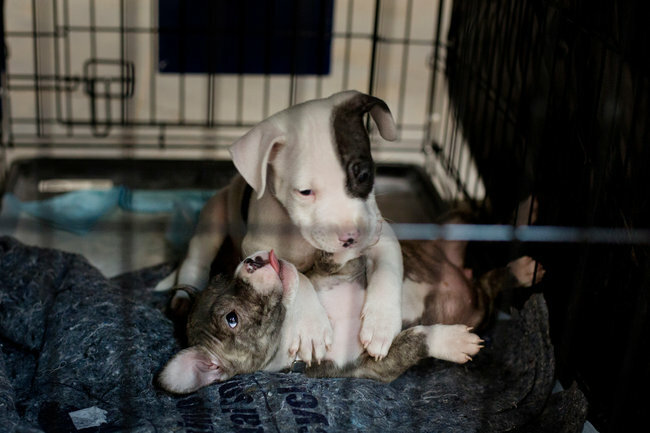 2 little puppies that from the Rockaways play in their crate. New York City has opened a temporary shelter in what used to be a vacant warehouse in Ocean Hill Brooklyn. The facility has some 20.000 sq/ft and with capacity for up to 700 pets. The facility will be run by a group of specialist from the American Society for the Prevention of Cruelty to Animals. As of last week there were near 150 animals already in the shelter and hundreds more were expected. Owners can board their pets for up to 30 days free of charge. Veterinarians from NY and other parts of the country check every pet brought in. 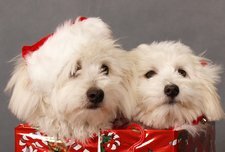 They are helped by pet behaviorist that check and label each pet by their level of "friendliness". ASPCA officials said they were able to negotiate with the landlord a rental fee of $20.000 per month for the space and celebrity chef Rachel Ray had donated $500.000 in cash and food supplies from her pets food line. The shelter has currently 48 animals that arrived without owner, mostly transferred from other shelters. RT @500ThingsMyCatT: dog rests with cat http://twitpic.com/ay1cay #awesomecatbook #catlover #catsSuzanne M.
NYC Pet Taxi Service. We serve all 5 boroughs. Our rates are flat.